A website consists of three aspects: the content, the organization, and the design. With few exceptions, the content of the website is its most important trait. It’s the essence of what you want to present, advertise, or sell to the website visitor. The content might naturally drive the organization of the website if it falls into clear categories—audience, departments, product types, etc. Otherwise, the website developer creates functional categories. These categories translate into menu items, subsections, and often subdomains or subfolders. Likewise, the content and the organization might suggest a certain design. In addition, the website developer looks to audience, purpose, and branding to create a positive user experience for the website visitor. While website content is not usually affected by changes in Web and browser technology improvements, website organization—whether static or dynamically created—could be, and design most certainly is. We have seen websites evolve from simple HTML, to the separation of design from content using CSS, to responsive design, and finally to modern design frameworks. Website construction went from coding individual pages, to using includes to share components, and then to complete content management systems. Web technology continues to improve, making design easier and features more robust. In order to take advantages of new Web technologies, periodic website updates need to be undertaken. When should website updates be made? If you have a website that has gone unchanged for two to three years and you want to know whether you should update it, what factors should you consider? To what extent should you look to make changes? Rebuild the website. This means tossing out most of your current site—content, organization, and design—and essentially starting over. Redesign the website. This means making some changes to the content and organization but changing most of the look and function of the site. Refresh the website. This means keeping most of the content and organization and making minor—but noticeable—changes to the site design. It’s a new year and we are looking forward to the 2019 annual library conferences. The list below covers large library technology conferences as well as the major conferences where technology will be discussed. For more comprehensive lists, see Douglas Hasty’s Library Conference Planner website. 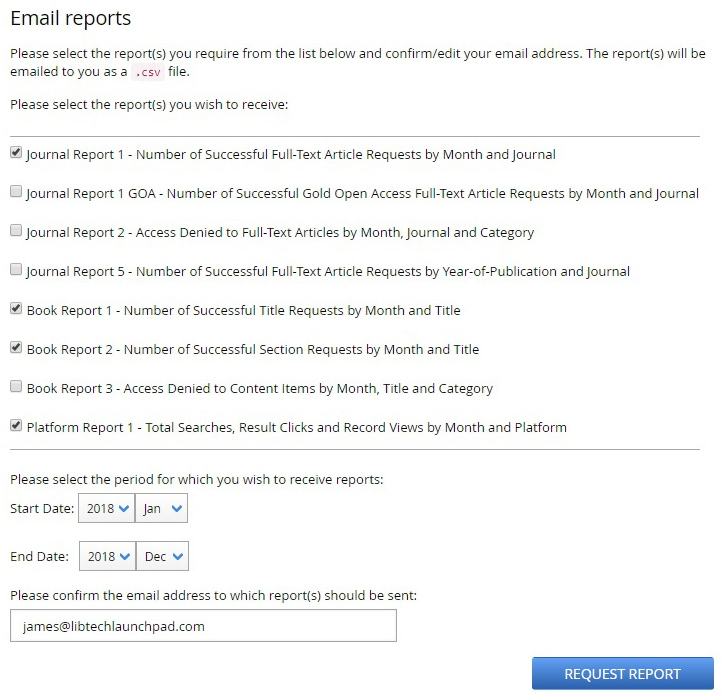 We analyzed 100 academic library websites. 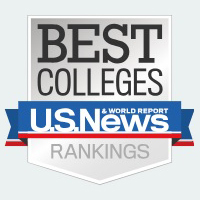 To select the libraries, we used the U. S. News & World Report‘s Best Colleges National University Rankings. 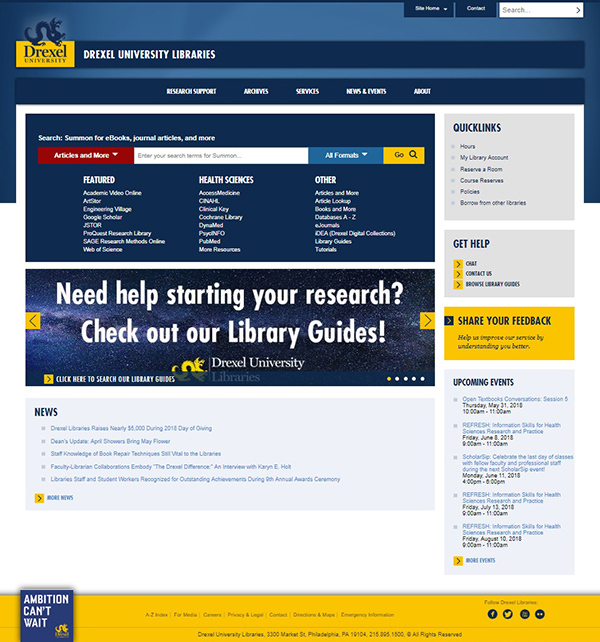 For those 100 prominent universities, we found the website of the main library and looked at its homepage navigation, organization, terminology, and search tools. Navigation menu items to understand terminology and site organization. Discovery and search tool tabs. Headings for sections of most-used links. Headings for News carousels and links. 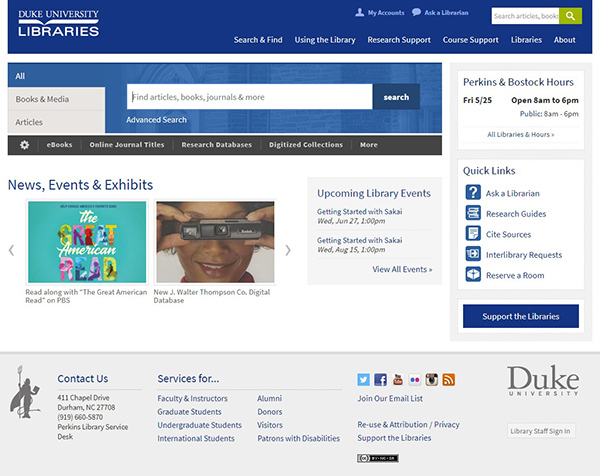 Sometimes, when evaluating your library’s website or services, you’d like to see how things are done at other institutions. Why reinvent the wheel? Maybe you just need some inspiration; seeing another’s layout or reading alternative wording can spark a brilliant idea. Or you might just copy something that works. If you find yourself wanting to browse other academic websites but don’t know where to start or how to choose them, this list of links can help. This is not a list of the top 100 academic library websites. Rather, it is a list of the library websites for the top 100 institutions in the U. S. News & World Report’s Best Colleges National University Rankings. Use it to check a handful of sites or all 100.